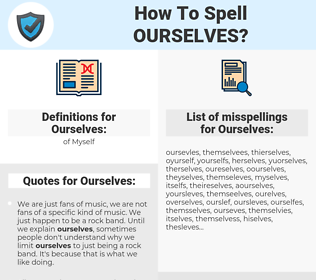 What are the misspellings for Ourselves? What are the common mistypes for Ourselves? What is the definition of Ourselves? What are the quotes for Ourselves? What are the rhymes for Ourselves? What are the translations for Ourselves? 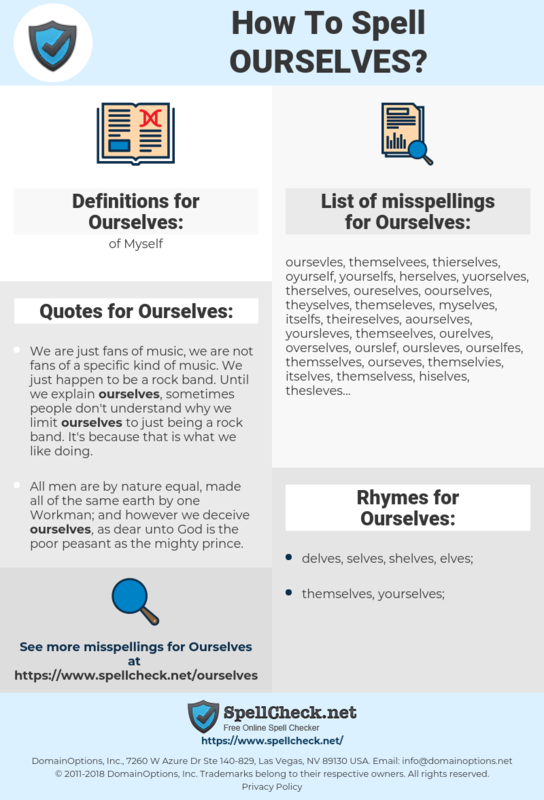 What are the common typos for Ourselves? This graph shows how "Ourselves" have occurred between 1800 and 2008 in a corpus of English books. We are just fans of music, we are not fans of a specific kind of music. We just happen to be a rock band. Until we explain ourselves, sometimes people don't understand why we limit ourselves to just being a rock band. It's because that is what we like doing. Infinitely more important than sharing one's material wealth is sharing the wealth of ourselves- our time and energy, our passion and commitment, and, above all, our love.